GPAT 2019 Application Form will be made available by NTA by 1st November 2018. Applicants must fill the GPAT 2019 form to get admission in GPAT Master's Degree programme in their desired Affiliated Colleges, Institutions, or University Departments. The online registration of the entrance exam will be starting on the official website (www.nta.ac.in). Once the registration is done, candidate will be sent the login credentials on their registered mobile number. After that, they can login again and fill the application form with ease. Availability: The GPAT application form 2019 will be available via online mode on the official website. GPAT application date: The application forms will be available from 1st November 2018. Registration fee: Candidates who want to apply for NTA-GPAT entrance examination will have to fill the application form and pay the GPAT registration fee. GPAT online application last date: The last date for submitting the GPAT 2019 application form is 30th November 2018. Payment: After the successful completion of filling in the Application Form, the candidate will need to pay the GPAT registration fee for the test. 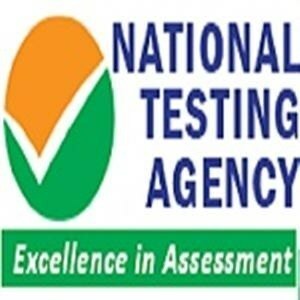 The registration fees for NTA-GPAT entrance examination for a candidate of general category is INR 1400/- and for the reserved categories is INR 700/-. Payment modes: The candidates can pay the fee both by online and offline mode. Online transaction: The application fees can be paid online via debit card or credit card or net banking or through an SBI Bank Challan. Confirmation: Once the payment is successful, the candidate will receive a confirmation on the registered phone number that they have provided in the GPAT 2019 application form. Validation: The candidate can validate his/her details after successful submission of the registration fees. The aspirants should have good internet connectivity and a good computer. The candidates should have valid bank details. All qualification details have to be submitted. The photograph should be colored or black & white (but clear contrast). Payment by Debit/ Credit Card/ Net Banking/ e-Challan: The candidate has to select Debit/Credit Card/Net Banking option to pay the application fee and follow the online instruction to complete the payment of the fee. In case the Confirmation Page is not generated after payment of fee then the transaction is canceled and the amount will be refunded to the candidate's account. Can I use my coaching institute’s or a friend’s email address when registering for GPAT? No, you need to have a valid and unique email address for yourself which you will be using at least for the next eight months. To know more, please click the link here. All those who are still appearing for the final exams of B. Pharmacy or have completed are also eligible to apply for GPAT 2019. You must bring your result during the GPAT 2019 counselling. To get a detailed idea, Click Here. What is the GPAT application fees for the PWD category candidates? The GPAT application fees for the PWD category candidates is Rs. 700 + Bank transaction charges. Can I apply for the GPAT exam through offline mode? No, the GPAT application form will be available online only. The application charges for SC/ST are INR 700/- + Bank transaction charges. Is there any sort of student discount on the fees ? i wanted to know if there was a student discount on the application fees. Unfortunately no; but you can check the GPAT India 2017 website for further details. I am from open category. What will be my GPAT application fee? The candidates belong from the General or OBC category has to pay Rs 1400 + bank charges. Where do we pay the fees for GPAT 2017? The fees should be paid either by Credit / Debit card or through Netbanking. What are the different categories of applicants and how much is the application fee for each category? Will I get a confirmation message once the payment is successful? A confirmation message will be sent to your registered mobile number once the payment is made successfully.